Our employee assessments and personality tests measure key behavioral factors showing how people communicate and work with each other. Create better team dynamics and match people to appropriate jobs. Contact us if you are interested in having a personal or corporate online account. These reports can be branded with your contact information to include your logo and contact information. Contact us for more information. 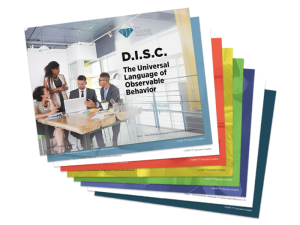 This online DISC assessment measures 15 behavioral factors that demonstrate HOW people communicate verbally and in their actions, both on and off the job. By understanding how someone interacts with others, you will be able to create better team dynamics, train managers to be more effective, and match people to appropriate positions within the organization. Takes approximately 10 minutes to answer the questions. 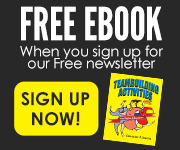 You will receive an email with a Login webpage link. (Link will be sent to the email address provided in Step 1) The profile takes approximately 10-15 minutes to complete. This assessment measures both DISC behaviors and motivators and produces a combo report with:7 different key drivers that most influence a person’s life choices, decisions and actions. 15 factors that demonstrate how people act and communicate verbally and in actions, both on and off the job. This assessment is targeted for leadership. It measures 56 soft skills that are related to superior leadership performance on and off the job. Used to determine what leadership traits a person has and which ones need to be developed. This report is a combination of behaviors, motivators and leadership soft skills. It is targeted for people who are in leadership positions. It measures • 7 different key drivers that most influence a person’s life choices, decisions and actions. • 15 factors that demonstrate how people act and communicate verbally and in their body language, both on and off the job. • 36 soft skills that are related to superior performance. This assessment is targeted for people working in mid to front line manager or supervisor positions. It measures 56 soft skills that are related to superior performance on and off the job. This online profile is a combination of behaviors, motivators and manager soft skills. 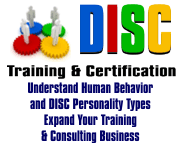 It is targeted for people who are mid to front line managers or supervisors. It measures • 7 different key drivers that most influence a person’s life choices, decisions and actions. • 15 factors that demonstrate how people act and communicate verbally and in their actions, both on and off the job. • 36 soft skills that are related to superior performance. This sales assessment is targeted for people working directly in sales jobs. It measures 56 personality soft skills that are related to superior sales performance. This report is a combination of behaviors, motivators and sales soft skills. It is targeted for people who are in sales. It measures • 7 different key drivers that most influence a person’s life choices, decisions and actions. • 15 factors that demonstrate how people act and communicate verbally and in their actions, both on and off the job. • 36 soft skills that are related to superior performance. This assessment measures 7 different key motivators (personal drivers) that most influence a person’s life choices, decisions and actions. Find out what drives people and WHY they behave the way they do. 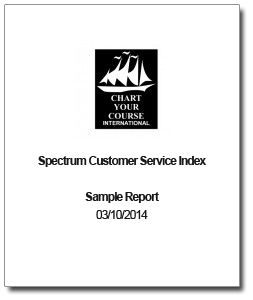 This assessment is targeted for people working in customer service and measures 36 soft skills that are related to superior performance on and off the job. This report is a combination of behaviors, motivators and customer service soft skills. It is targeted for people who work in customer service. It measures • 7 different key drivers that most influence a person’s life choices, decisions and actions. • 15 factors that demonstrate how people act and communicate verbally and in body language, both on and off the job. • 36 soft skills that are related to superior performance. This dental staff assessment is targeted for selecting good people working in the dental field. Works well for dentists, hygienists, assistants and X-ray personnel. It measures 56 soft skills that are related to superior performance on and off the job. This assessment is targeted for people working in healthcare who have patient contact. It measures 36 soft skills that are related to superior performance on and off the job. This report is a combination of behaviors, motivators and healthcare soft skills. It is targeted for people who are working in healthcare. It measures 7 different key drivers that most influence a person’s life choices, decisions and actions. 15 factors that demonstrate how people act and communicate verbally, both on and off the job, and 36 soft skills that are related to superior performance. This assessment is targeted for people working in Real Estate. It measures 56 soft skills that are related to superior performance.